For around $3, you can buy an effective, natural remedy for anxiety, pain, headaches, high blood pressure, PMS, constipation, osteoporosis, and insomnia. 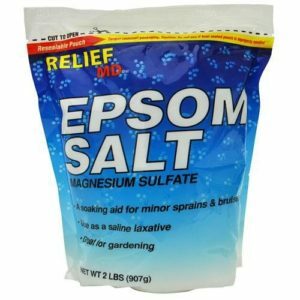 Good old Epsom salt poured into a warm bath can do the job of hundreds of patented drugs, and without unpleasant side effects or expense. How do we know about Prozac, Plavix or the Purple Pill? Ads! Promotions! If not on TV, then in magazines or your doctor who was inspired by the young drug rep dressed in a mini-skirt to push her products. Billions of dollars go into drug promotion, including company-sponsored science. An Epsom salt soak is one of the most effective time-tested remedies for anxiety. Consisting of magnesium-sulfate, this salt can address all-too-common magnesium deficiency problems, such as tension, as well as provide detox benefits of sulfur. Most of us are magnesium-deficient. 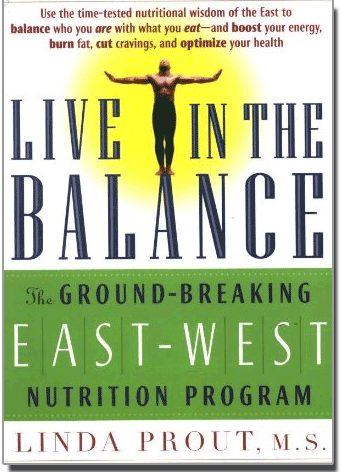 Not only do we get too little in our diet, it is easily depleted. Stress, perspiration, alcohol, sugar, age, GI problems, medications, and toxins, coupled with low soil levels, leave many of us short. Signs of low magnesium include anxiety, muscle twitches, sugar cravings, headaches, insomnia, osteoporosis, high blood pressure, and constipation. Tension headaches and muscle cramping, in particular, are signs of low magnesium. One of my medical mentors always said: “If it spasms, give magnesium.” If you suffer these symptoms, consider a supplement in addition to your baths. Magnesium also prevents heart attacks, strokes and diabetes. In areas where water is high in magnesium, there is markedly less cardiovascular disease. Studies of astronauts on long space flights show low magnesium issues speed cardiovascular aging over 10 times faster than it occurs on earth. Billions of dollars in drugs are prescribed for anxiety, hypertension, blood sugar control, pain, and insomnia – all common magnesium deficiency signs! Epsom salts are also part sulfur, an important detox mineral, one that stimulates production of glutathione, our master antioxidant. Low sulfur levels are commonly associated with obesity, Alzheimer’s and heart disease. Sulfur is found in many pain products. When you take an Epsom salt bath, your skin absorbs magnesium and sulfur, instantly bringing up your blood levels. Magnesium is particularly important for women. Adequate levels help prevent PMS and osteoporosis. In fact, magnesium is quite often the missing mineral with osteoporosis, not calcium. Magnesium is one of the best cures for constipation. If a bath doesn’t help, follow the instructions for dissolving magnesium in a mug of warm water. Green Med Info lists over 100 scientifically proven health benefits to magnesium. For therapeutic benefits, be sure you use 2 cups of Epsom salts in a regular size tub. I also add my favorite essential oil blends. Turn down the lights and let your mind quiet as you soak. I know of no other drug with this kind of healing potential. Considering supplements as well. What would be the best supplements to begin with? Im 45, female. Have nasty periods and take zantac 300mg for my reflux. There are many factors to consider when choosing supplements. I would need more detail to make recommendations. That said, zinc carnosine (a unique form of zinc) taken on an empty stomach can tighten up the LES, which helps prevent reflux. Giving up sugar and most grains should help with periods and reflux. If you have been on zantac for a while you are likely depleting yourself of many nutrients and it will be hard to restore those until you get off this drug. It blocks absorption of many nutrients, plus increases risk of parasites. What a great post, Linda. Who wouldn’t benefit from this? I intend to run my bath this weekend! I don’t have a bath tub. Would soaking my feet help? You wont pick up much magnesium with just a foot soak. A body soak is really best. If you can’t do that, and have some of the symptoms listed here, consider a magnesium supplement and/or magnesium gel or oil on your skin. 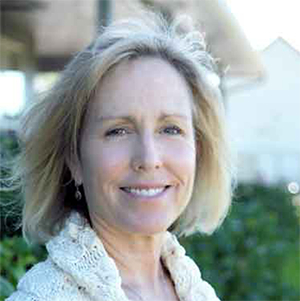 Hi, I'm Linda, a nutrition & healing expert. I have what you need to get lean, healthy and revitalized. I'm passionate about food and won't let you feel deprived. Let's Get Started! 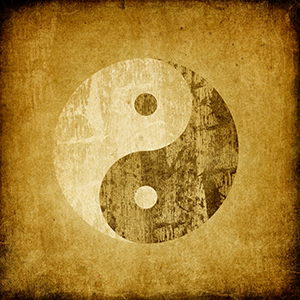 Are You Yin or Yang?